When will be TV Land Icon Awards next episode air date? Is TV Land Icon Awards renewed or cancelled? Where to countdown TV Land Icon Awards air dates? Is TV Land Icon Awards worth watching? "TV Land Icon Awards" originally known as "TV Land Awards: A Celebration of Classic TV" is an awards show hosted and broadcast by the TV Land network. It awards work for television generally off the air, though the Future Classic Award is given to one show currently airing. The 2016 TV Land Icon Awards in Celebration with Entertainment Weekly has announced two honorees – prolific television creator Norman Lear and pop culture icon John Stamos. Comedian George Lopez will host the evening honoring the very best of TV and entertainment. Three-time Emmy® Award winner Norman Lear will be honored with the Impact Icon Award, which praises individuals that have made a significant impression on American entertainment and culture. The incomparable Lear has been in the entertainment business for more than 60 years, creating some of the most memorable television comedy staples including "The Jeffersons," "One Day at a Time," "All in the Family," "Sanford and Son," "Maude" and "Good Times," all of which have endured through generations and remain some of today's pop cultural favorites. In addition to being a multiple Emmy Award-winner, Lear is also a recipient of the National Medal of Arts and a Peabody Award, among other numerous accolades. Oscar®, Emmy®, Tony® and GRAMMY® winner Rita Moreno and Jimmie Walker will be on hand for his tribute, and "Glee" star and recording artist Amber Riley, along with others to be announced, will perform a special medley of theme songs from Lear's shows. The Impact Icon Award will be presented to Lear by television and film creator Seth MacFarlane. 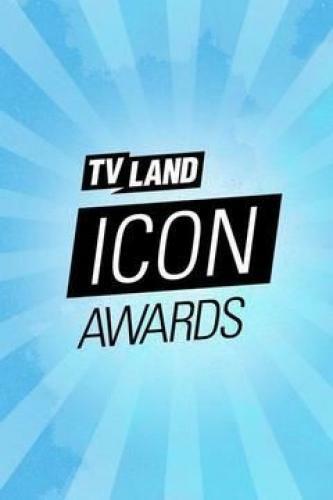 TV Land Icon Awards next episode air date provides TVMaze for you. EpisoDate.com is your TV show guide to Countdown TV Land Icon Awards Episode Air Dates and to stay in touch with TV Land Icon Awards next episode Air Date and your others favorite TV Shows. Add the shows you like to a "Watchlist" and let the site take it from there.